This 34.5mm. BULOVA ACCUTRON with day and date in the “up-down” position is an interesting and cool looking watch. Notice the trapezoid day/date apertures-quite different! This watch dates to 1970. This dial is very clean and original, with only a small mark near the center post. 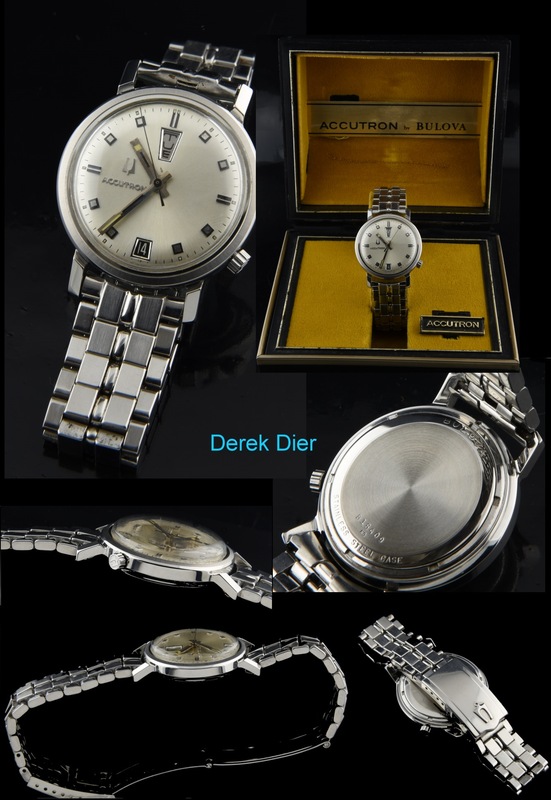 post The steel case displays very fine shape overall and retains the original crown. The electric Accutron movement was just cleaned and is accurate. The bracelet is very fine and original as well. The original box is included. 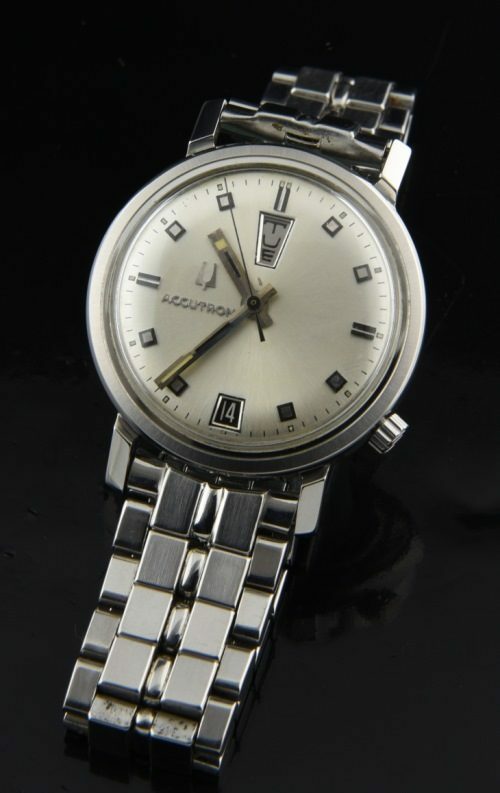 This is a fabulous looking vintage Bulova Accutron! Just $895.